We step out into a crisp clear morning, with a definite chill in the air and low sunshine casing long shadows. The wind is calm, and the road deserted. The only sound is that of our tires rolling over the pavement. 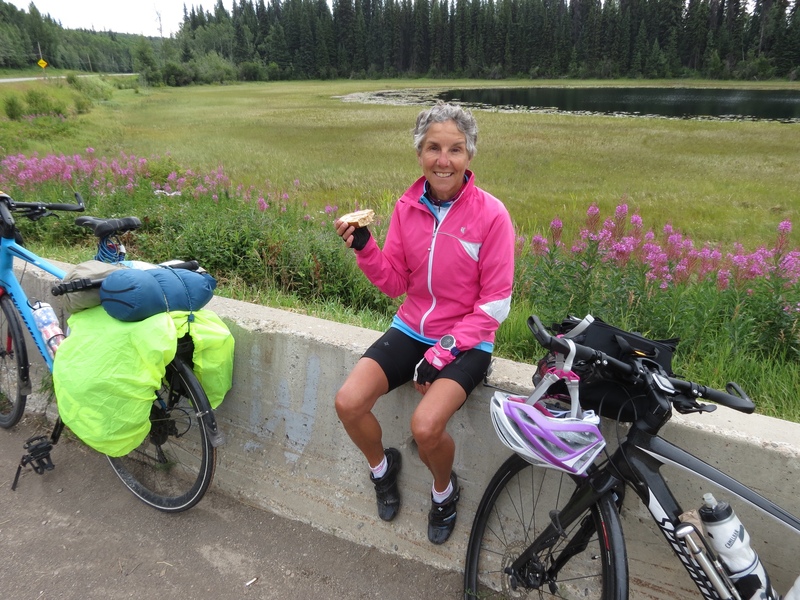 We are cycling down the Yellowhead Highway flanked by wilderness with lake views and mountains looming beyond. Most peaks are forested, but in the distance we see bare rocky pinnacles laced with glaciers. Although Rich insists that this highway loses elevation overall in its course to the ocean, we find plenty of undulations along the way. Today's summits yield a panoramic view of the surrounding mountains. And we are not even close to the coastal mountain range yet. If only it could always be this way. 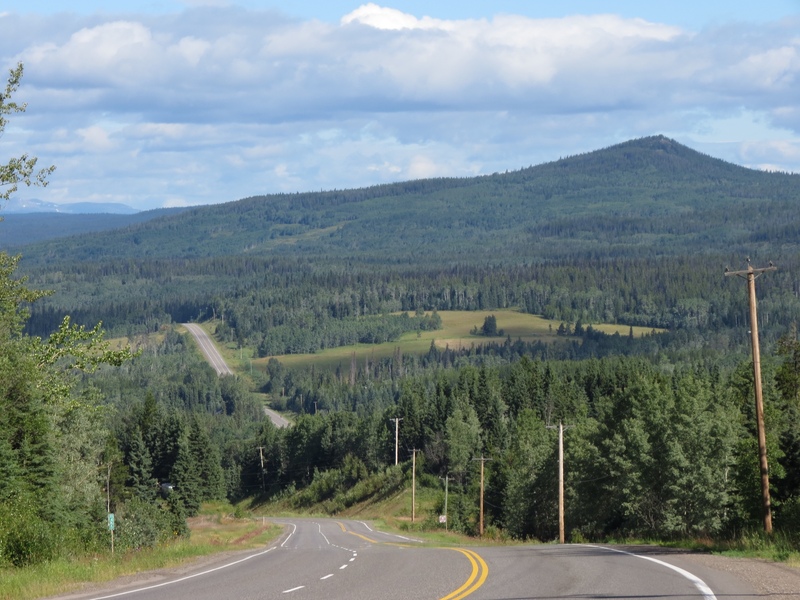 Not every day on the Yellowhead Highway has been as serene as this Sunday morning. Clearly we are benefitting from the weekend lull. Our first couple of days were quite the opposite, and we soon learned that we had totally underestimated the traffic we would encounter. The Yellowhead is a major highway. 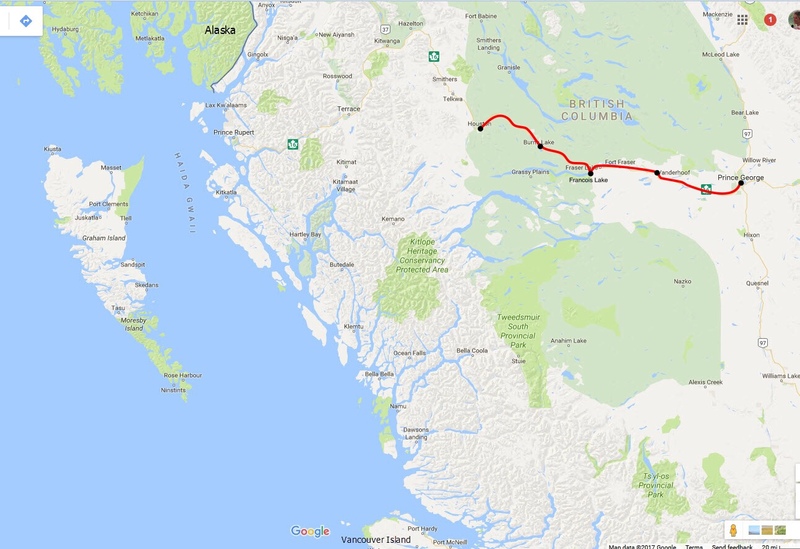 It's the only road to the coast in this part of British Columbia. In fact, there are few other roads to the coast period. So the heavy population of semis, logging trucks, RVs and car traffic is no real surprise. We just hadn't dwelled on that in our idealistic concept of this tour. The trucks thundering by are distracting and at times highly intimidating. But we have gradually adapted and learned to deal with it. Despite the traffic, the area is much as we expected – largely unpopulated and abounding in natural beauty. This is wilderness at its best. Towns are few and far between. In fact, our daily distances are entirely dictated by their location, generally 50-60 miles apart. In between, there is very little. We have to plan our food and water needs carefully, as some days there is not even a convenience store en route. My infamous bagels have come in handy now and then. And Rich is proud of his foresight to carry four water bottles this trip. 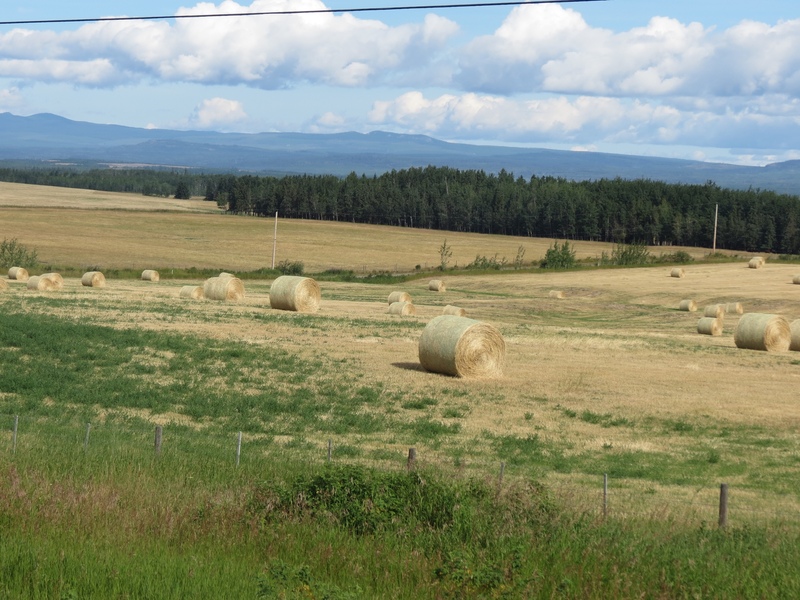 Surprisingly, we have passed through thriving farmland. 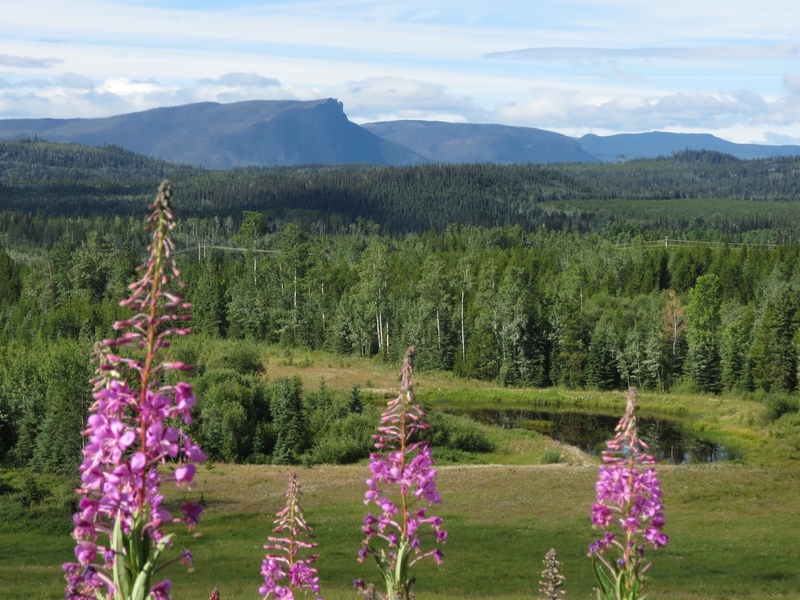 The area west of Prince George is known as the high plateau, and it yields rich farm soil, something not found elsewhere in BC. 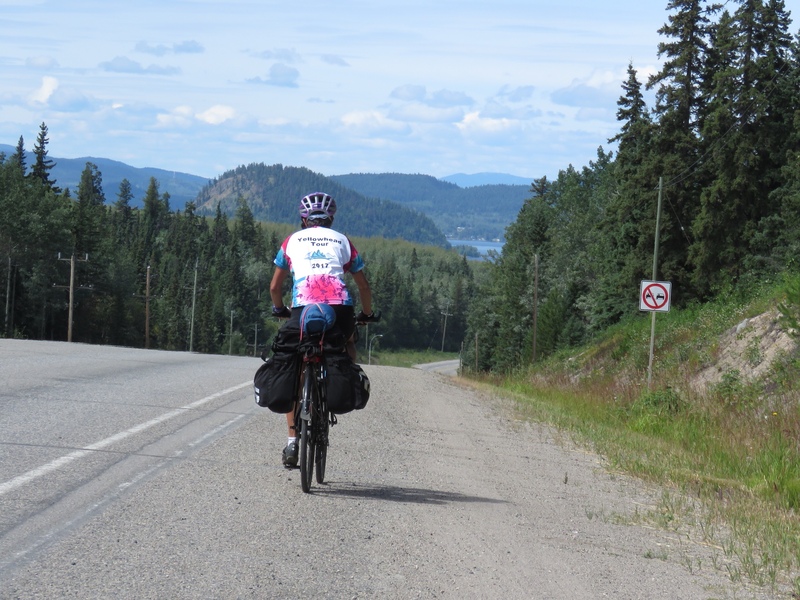 We haven't seen many other touring cyclists along the way. Perhaps that says something about our choice of route. But each time we cross paths with other cyclists it is cause for an impromptu gathering on the roadside. Meeting a couple from Spain we asked the usual question – how long are you touring? 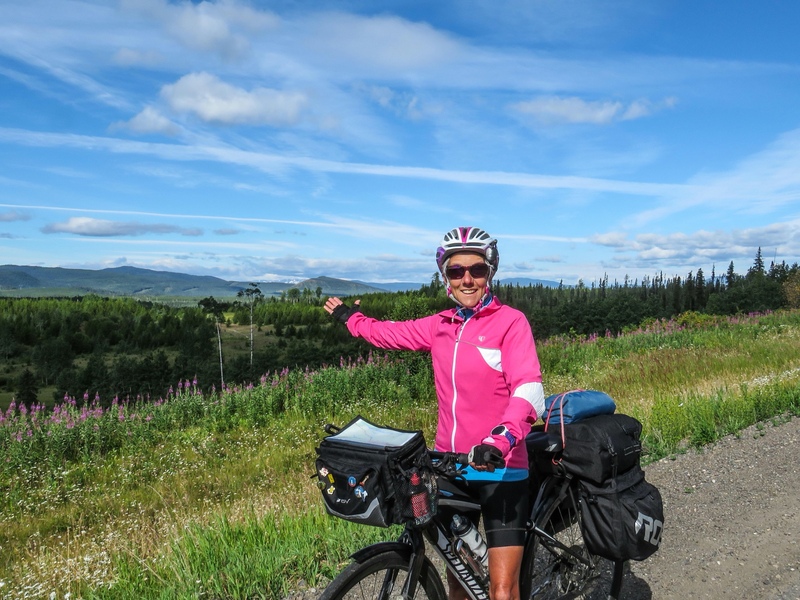 Their response – they've been on the road since 2007! Our entire tour will be spent on this single road. It certainly is not boring; each day it delivers something new. 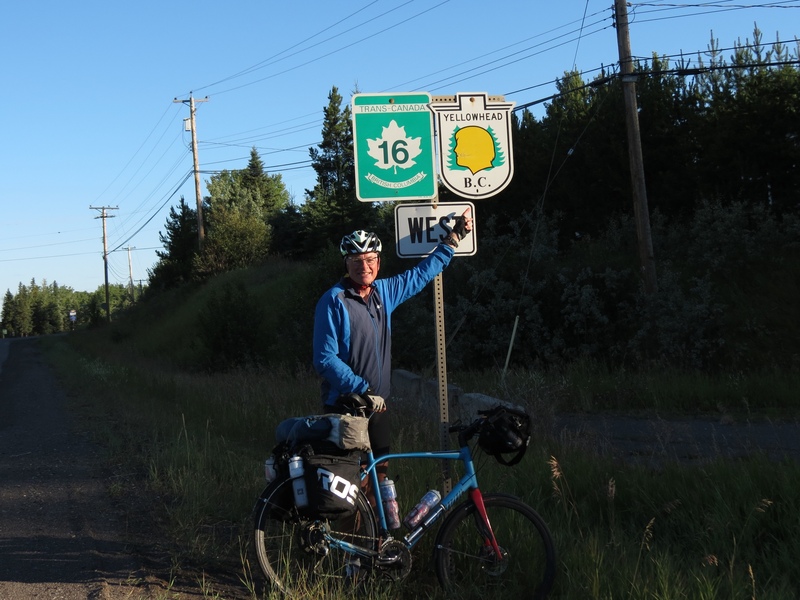 Mile by mile we are experiencing the many faces of the Yellowhead Highway.